Ozzy Osbourne has paid tribute to late Motörhead frontman Lemmy at the Metal Hammer Golden Gods. Speaking exclusively to Hammer at the ceremony, Ozzy revealed how he tried to see the singer at his apartment on the day he died in December 2015. Ozzy also recalled Lemmy’s memorial services, held on January 9 at Los Angeles' Forest Lawn Memorial Cemetery and attended by Lars Ulrich, Dave Grohl, Slash and more. “All of the original members of that band are gone now, Eddie went earlier in the year and Phil went a few years back as well. “You have to look at it and wonder how you've managed to stay here this long. We've lost some good ones, you know." 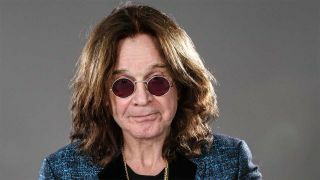 Ozzy, who is currently on his farewell tour, admitted he found it difficult to sing some of his classic songs.